In the Junkyard Dog build up, I am building a YJ for as cheap as possible. Some of my considerations are time and doing it right the first time: No wasted effort or money! 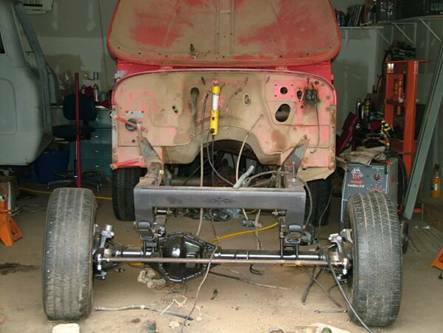 Since the YJ is getting a healthy Big Block Chevy (BBC) and decent selectable gear reduction with 38” tires, I decided that there is NO way that a ¾ ton Dana 44 would stand up to my stupid foot. 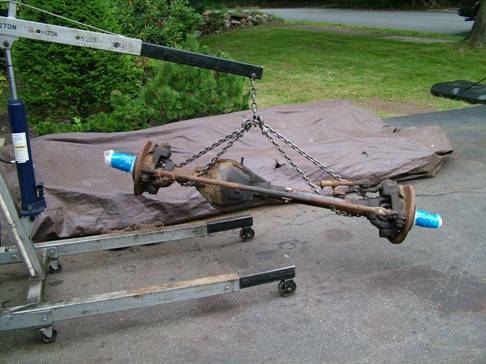 I stripped the Dana 44’s I had, sold off the parts I could, and went on the hunt. Basically I needed a stronger axle that would hold up to the BBC and tires. It should use commonly available parts, not kill my ground clearance and not cost three hernias as I moved it around. I also did not want to reinvent the wheel. Most Pirate4x4 readers would agree this means a Dana 60 - Some would say Rockwells and some would say Mogs. Others would say whatever flavor of the week. Enter Extreme Axle Sales. They post as "High Honda" on the Pirate Board. I had bought several axles from Doug at Extreme Axles before. In speaking with him, we went back and forth a few times on what axle to actually get. 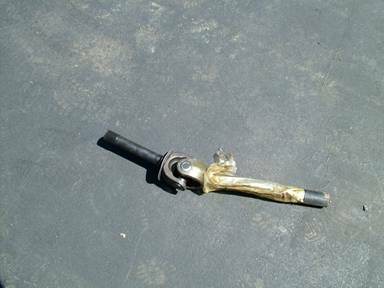 He had several Ford King Pin Dana 60s that would work well with the stock YJ t-case - If it had the stock YJ t-case! They wouldn’t have worked with the leaf springs in stock form, since they were newer D60s with a spring pad width of 36”. I planned to outboard the springs, but not THAT much! I mentioned that I could run a Dana 300 that I obtained with the first POS and he mentioned that he had a few Duel Rear Wheel (DRW) Chevy Dana60’s. I wanted full width, but DRW was too wide. He told me he could do a complete housing from spindle to spindle or I could get the whole shebang and have the DRW hubs turned down to Single Rear Wheel (SRW). I wasn’t fond of waiting for the hubs to be turned, so I went with spindle to spindle. Doug also had everything required to rebuild the D60, so I ordered everything needed to make it good as new. 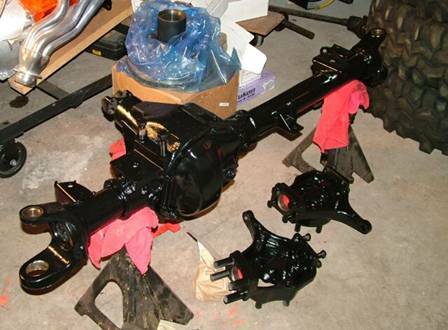 1) Chevy Front Dana 60- 4.10 gears from spindle to spindle. 2) New Chevy SRW Hubs and Rotors (quite complete, with studs and bearing races pressed in. These are one hot item!). 2) Yukon 35 spline inner 4340 Axle Shafts. 2)Alloy USA 35 spline 4340 outer stub shafts. 2) 35 Spline Warn lockouts. 2) Dana 60 Wheel bearing kits. 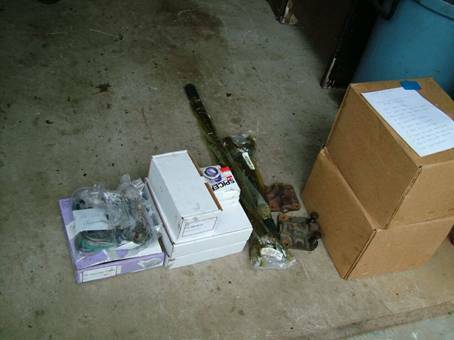 2) Spindle bearing kits with slingers. 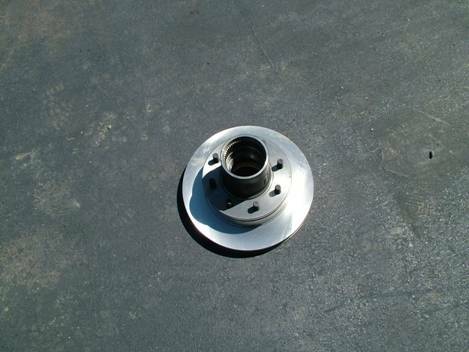 1) 1350 U-D60 Yukon Yoke repair kit (this is quite slick, it’s a 1350 yoke, with seals and bearings). Miscellaneous D-60 Hardware (when I say miscellaneous, I mean everything to put this sucker together, even the stuff you wouldn’t think about). Now some of this might go beyond the cheap principle. I mean, why rebuild the axle? Well, Doug said that it was in good shape but we both felt that since it was out, it should be gone through. We all know that Doug goes to the yards and finds all these glorious chunks of rotting steel for us to use and abuse. So he couldn’t really guarantee the condition of the axle by looking at the outside of it. He did switch out one that was a bit more pitted then the one you see before you today. Why the Chro-mo axle shafts? For those that have seen me drive, this is a very easy answer: Full throttle is my motto. I will be driving a lot of the New England trails which generally consist of mud, clay, crud and rock. Otherwise known as spin, spin, tire grab, BANG there goes an axle shaft. Given these two factors, 35 spline outers make sense. I did have the u-joint’s Cryo-d to increase strength. The current budget just doesn’t allow for chromo joints right now. So, I get to rebuilding this 400lb+ piece of iron - I’ve done them before. In the past, I had to take a piece of 7/8” plate, bore a hole big enough to poke a king pin through, use a piece of 7018 rod in my stick welder and weld said plate to the king pin to use a large hammer (BFH) to hit the now hot plate, burn the crap out of my hand and knock the king pin loose. 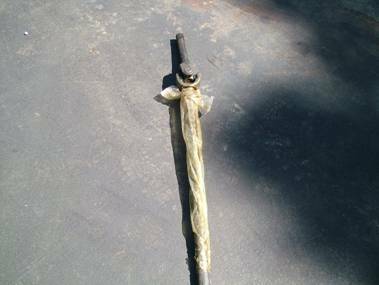 This is a trick that WelderBoy taught me on my first Ford Dana60 after I spent a ton of time, about $70.00 on a few LARGE Allen Wrenches and a few stitches. I start to break down this Junkyard Gem and it’s remarkably clean. Of course it’s got the usual crud, but the components appear to be well maintained. I chose to save most of it as trail spares. The really funny thing is I spent the better part of an hour on my drill press boring through a 1” piece of scrap plate steel getting ready for the king pins… For giggles, I decided to use my last remaining allen wrench, and whallah! Off came the king pins! I need to go play the lottery! I sandblasted the housing, primed and painted it with epoxy, finished rebuilding the assembly and stuffed it under the YJ. It’s looking good. Stay tuned to the Junk Yard Dog build up, once finished I will beat the heck out of it and give quarterly updates! I would say this was the easiest vendor/product review to write. We all know Doug. This is a fine axample (sue me, I can make up words!) of his products and his customer service. When he didn’t have the 35 spline outers, he made arrangements to have Alloy USA drop ship me a pair. They also included a cool hat, a very soft t-shirt and some stickers for the Junk Yard Dog! I can’t say enough about Doug, Extreme Axle Sales and Alloy USA.